So far I've translated this game as much as a person with no knowledge of Japanese and access to Google Translate could - and that would be something like 98%. Only a small amount of text in graphics is left untranslated, some more complicated kanji that I could not draw properly on several kanji-identifying websites I tried. So I'm looking for someone who could translate for me. It's really very little work. Any fluent Japanese speaker could do it in half an hour. 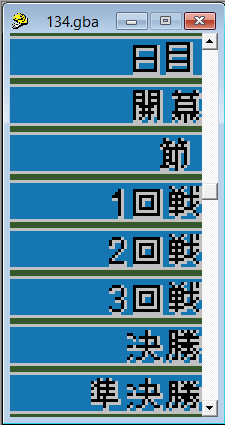 If anyone is up I would provide the graphics (something like six or seven small image files) with the Japanese text. I'm attaching an example of them. I've been putting together information about hacking of this game for a long time. I always planned to release a hack with updated teams using this game. Seven national leagues: Brazilian, Mexican, Italian, English, German, French and Spanish. All teams, players and uniforms updated. Also, teams from the Rest of America (19 club teams from Argentina, Colombia, USA, etc), Rest of Europe (19 club teams from Portugal, Russia, Turkey, etc), Africa (8 club teams from Argelia, Tunisia, Congo DR, Egypt, etc) and Asia (10 club teams from Iran, China, Japan, etc). And of course the World league, with 63 national teams from all continents. 255 full updated teams for your playing delight (I'll attach a list with all the teams soon). I'm also hacking some palettes and uncompressed graphics. I've been trying for years to figure out decompression routines (for there's a great deal of compressed graphics I'd like to edit, like that giant "97" on the main menu, see image below) but I'm just not good with ASM. That's it. 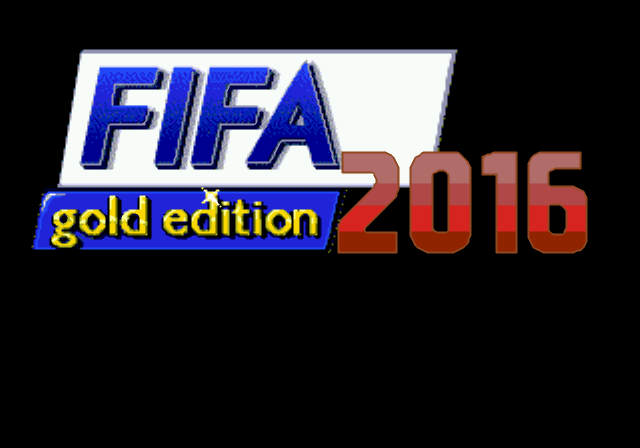 I'm planning to start editions when the European transfer window is closed, so the hack may be released in early October. More screenshots soon! 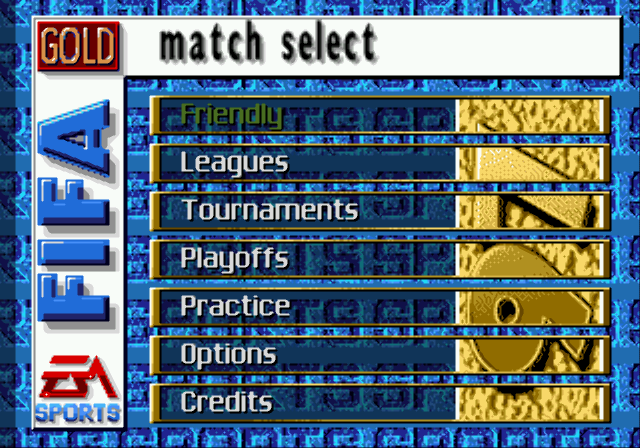 I'm trying to edit FIFA 97 Main Menu background and I couldn't find it with tile editors. Does that always means that the data is compressed? I had Nemesis Searcher check for Nemesis compression and it found nothing; I know it can be some other kind of compression though. 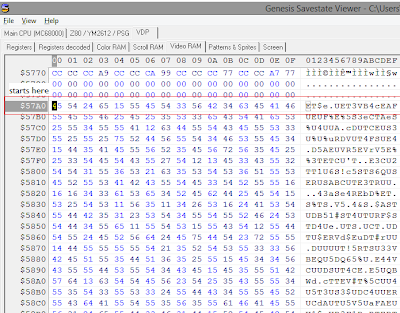 Anyway, via Genesis Savestate Viewer I've located the VRAM address of the data I want to edit (57A0). Now I'm stuck. I have this instruction (0A:981C) which calls for my addres (57A0). What do I do now? Is this a decompression routine?